Aviation history takes flight in Paso Robles, CA, at the Estrella Warbirds Museum. 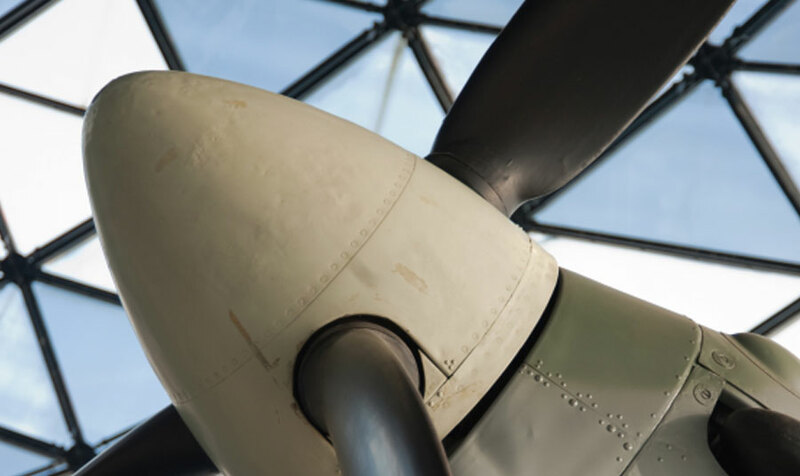 The Museum has a growing collection of military aircraft, weapons, artillery shells, and missiles. Vehicles vary from an antique ambulance to recently retired U.S. Air Force fighter jets. This is a comprehensive museum collection visitors of all ages will enjoy. In addition, the Estrella Warbirds Museum is also home to the Woodland Auto Display. Automobile racing is the name of the game at this thoroughly enjoyable family-friendly museum. Here, visitors can look upon an unbelievable collection of hot rods and historic racing vehicles, including a 1949 Midget, a 1966 Edmunds Super Modified 54, and a 1975 Sprint Car Tamale Wagon. You'll also see displays of gear worn by racers including helmets, goggles, and gloves. Be sure to set aside enough time to explore all there is to see because there's certainly more than plenty. Open Thursday through Sunday, 10 a.m to 4 p.m.